In high school, my preferred outfit was a $1 Dennis Rodman T-shirt and a stained track sweatshirt. I found conditioner in my ears nearly every day, usually sometime around third block. I took the bus instead of riding in with my cheerleader sister because, even though it was just the two of us, she made me sit in the back seat of her two-door tiny car. Unlike mah girl Louise in Teen Witch, I wasn’t very popular in high school. Actually, unless you count the two times cool kids invited me to parties by accidentally including me in Facebook message threads (I barely do), I wasn’t popular at all. I don’t want to give the wrong impression, though. I may not have been cool, but I wasn’t uncool either. I played sports and kept to myself, so I didn’t have enemies or nuffin’. Sho, the school’s football superstar/record holder for discus and shot put once pelted a frozen juice box at my chest, but that was a definitely just a wicked hilarious joke. In all surriousness, my four years at Bonny Eagle High School really weren’t terrible. Still, I’ve come along way from the dollar tees and tangle-free earholes of high school. I’m still far from cool, but look at me! I wear V-necks now! I had side bangs! 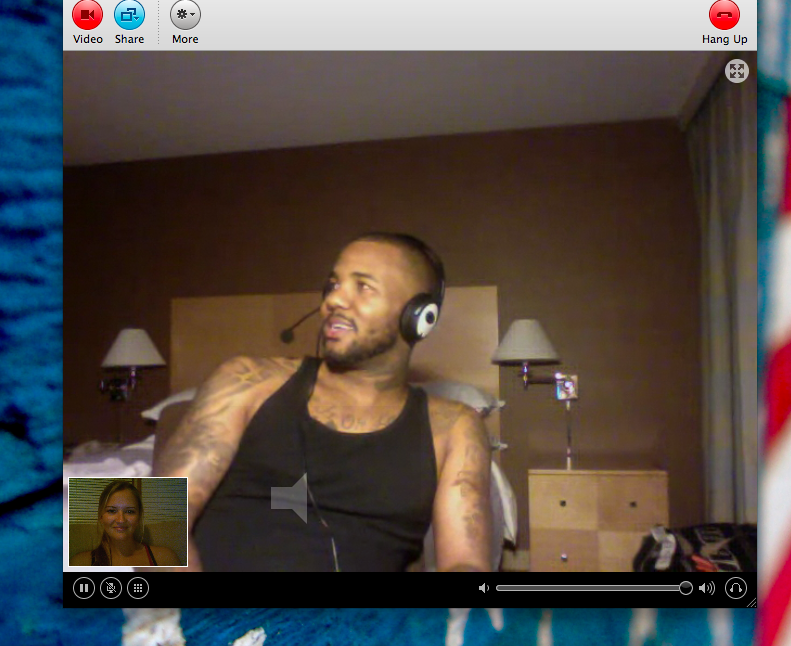 I Skype with The Game! Somehow, though, I always seem to relapse into my high school lameness whenever I go home to Maine. I only ever run into fellow BEHS alumni at one of two places. 1. The grocery store, where I buy Klondike bars in my pajamas. 2. Da pharmy pharm, where I scramble to get cold sore prescriptions filled, also in my pajamas. When I went home last weekend, I was determined to be seen by my former classmates looking if not cool, then at least normal. I figured the Old Port was the best place to carry out my plans. Last Friday, armed with not only the desire to be seen looking my best (or at least better than I did in high school), but also with a desire to see BEHS-ers looking their crunkedest. I headed out to the Old Port. My college friend Katie, her boo boo Tyler, and I stopped at Oasis first. I was feeling pretty good. A baggy baseball shirt covered my diseased elbows, a leather messenger bag made me feel Bohemian (I don’t actually know what that means! ), and I had my hands in my pockets. I also had a temporary tattoo on my left forearm (I pretended like I wanted to trick Katie and Tyler in thinking it was real. In reality, I hoped someone I knew would see it, think I was a BAMF, and never get close enough it see it was a peeling Hogwarts crest). Sadly, Oasis turned out to be a bust. There weren’t many people there, and those who were there upset my bowels with their craptastic oversized-Jenga skills. Plus, I didn’t recognize anyone. We were there for less than five minutes before we made like Jay-Z and went on to the next one. The next one was a bar where Katie’s brutha was supposed to be. He wasn’t, but Emily — a girl who’d graduated the year before me — was. Excited my plan might finally start to work, I swaggered up to the bar like a boss and did my best to act cool. Me: Hey there. Will you make us drinks to drink? We’ll drunk ‘em, get drunk. Bartender: It’s Friday, and is that an autotune app on your phone? Nevermind. Please, just order. Me: Triple shot of patron on the rocks with a lime on the side. I’m just keeping it real! Bartender: That’s really what you want? Me: How about a Blue Moon? Bartender: We only have Schneider Weisee Hefe Weizen Weihenstephaner Sweet Golden Pale Ale from Belgium. Strangely enough, she never even looked my way. Fortunately, a friend from high school, DJ, showed up a few minutes later and saved the evening. And a few minutes after that, we all agreed to call it a night and DJ gave us a ride back to our car. And he even let me have the front seat! This entry was posted in Uncategorized and tagged bonny eagle, classy, high school, humor, i wanna be a popular girl like teen witch, old port on August 30, 2011 by classygallie. You’ve got to let people subscribe to your blog! Add the email subscriptions widget! Just did!! It was stressful deciding on the wording but you can now subscribe via e-mail — thank you for suggesting it! I agree with the above poster, I also approve of your reply and the follow up action required. I also approve of this message. And the fact you’re hilarious. Kudos funny person, Kudos. I approve of that message, too! Thank you!